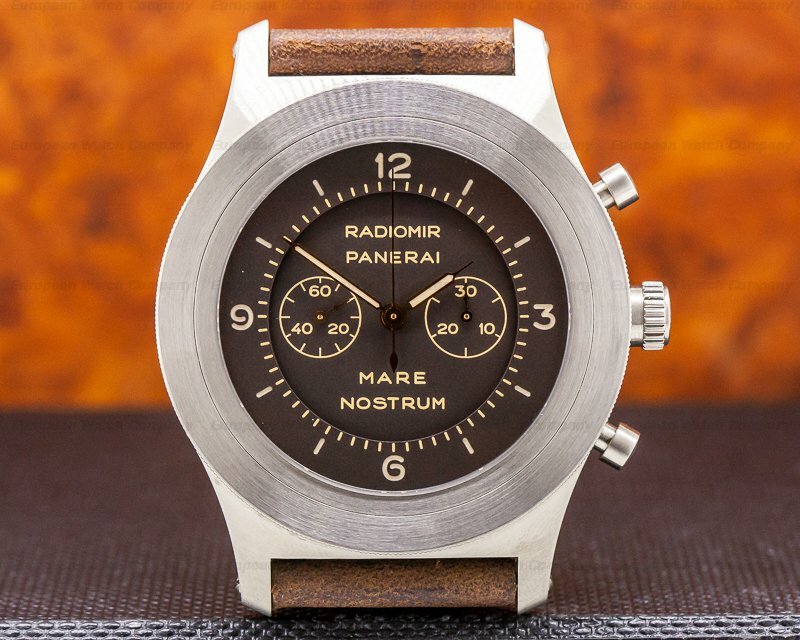 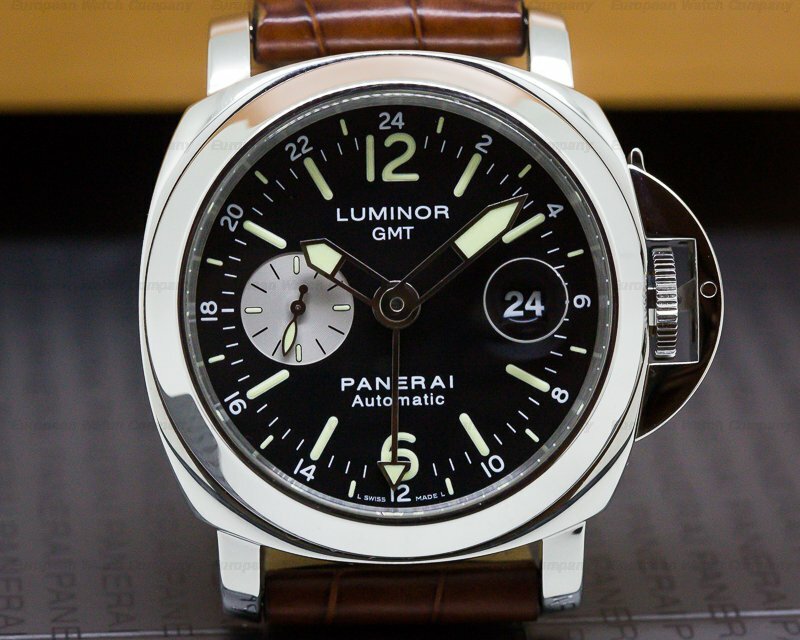 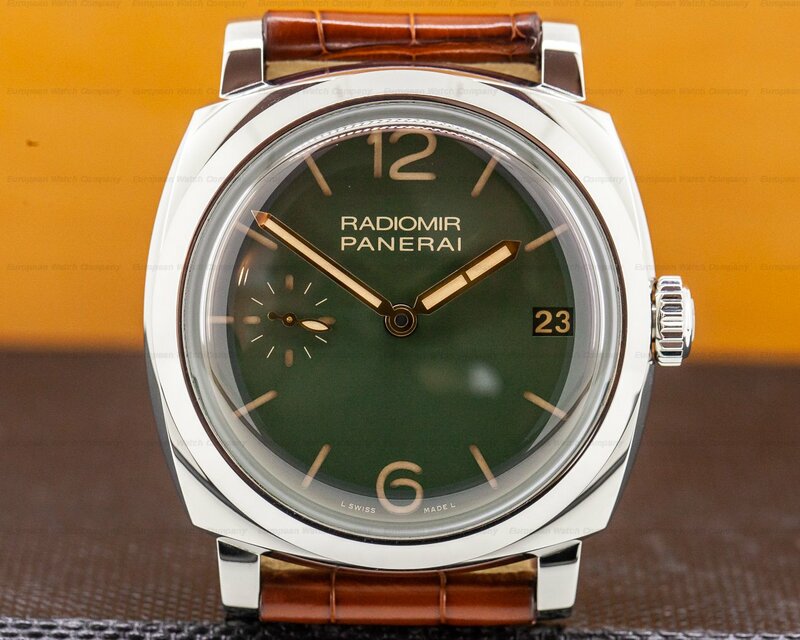 This is an AISI 316L stainless steel Panerai Radiomir 1940 3 Days Acciaio PAM00736. 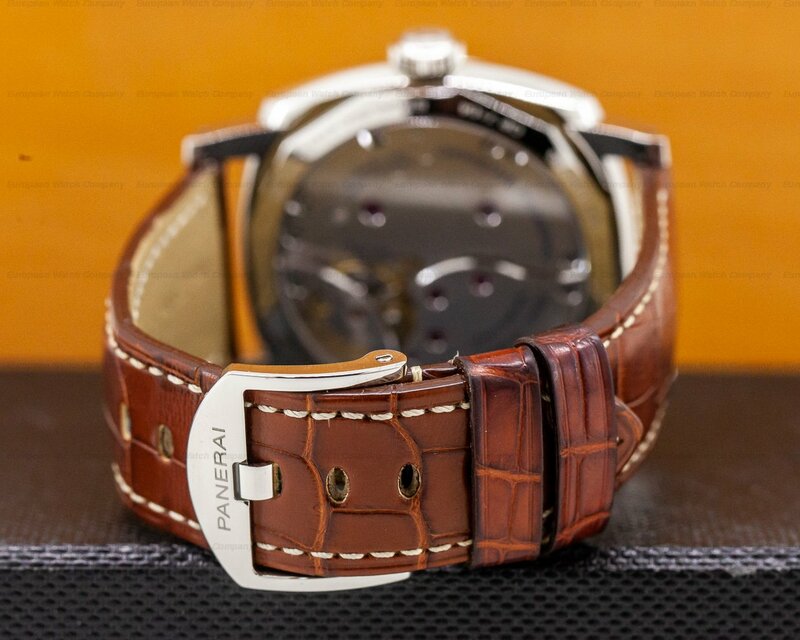 It has an alligator leather strap with a stainless steel tang buckle, and a domed acrylic crystal. 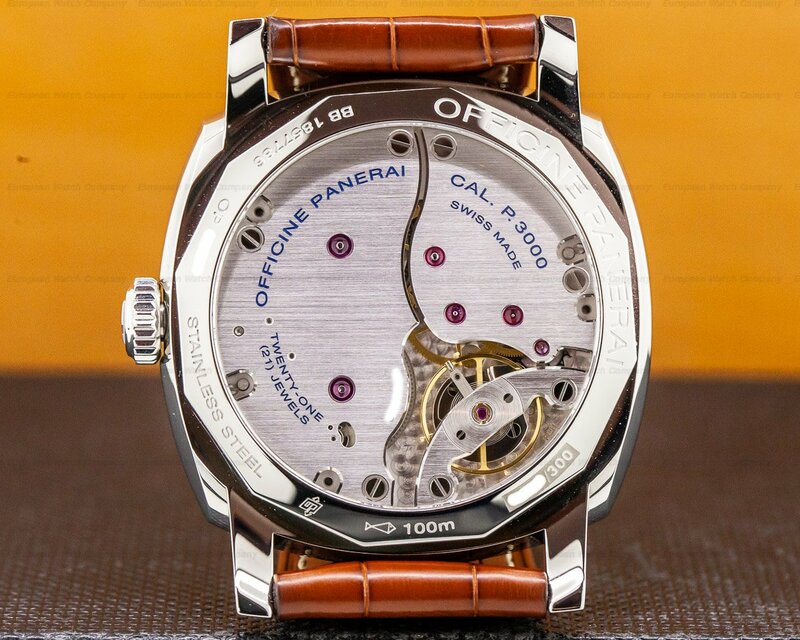 It includes a screw down winding crown, and a screw down exhibition sapphire display case back engraved with "OFFICINE PANERAI – CAL. 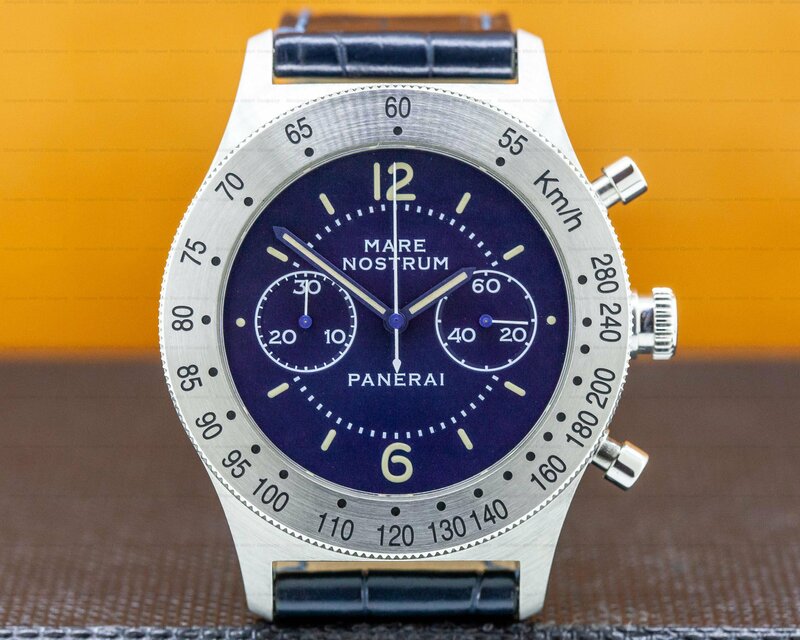 P 3000 – STAINLESS STEEL – 100M," a serial number and hallmarks. 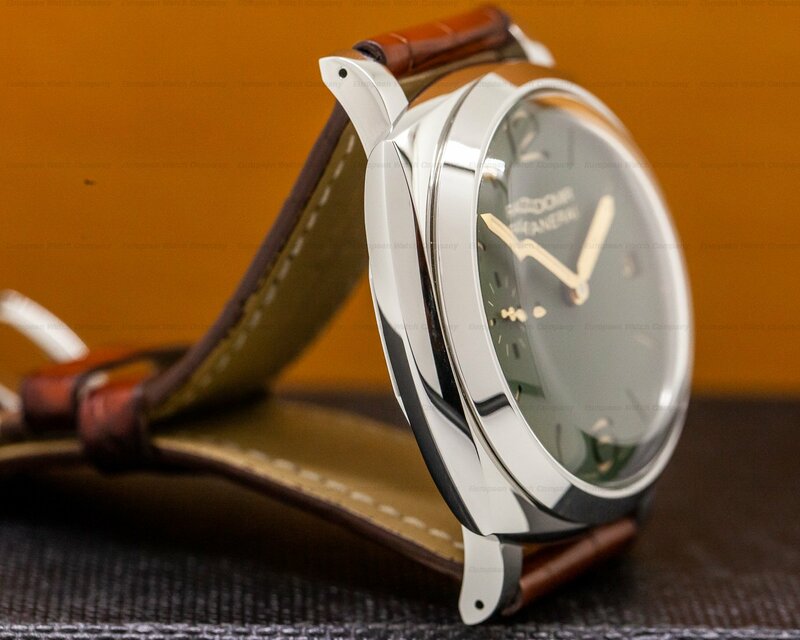 The 47mm by 47mm cushion-shaped solid three-body case, curved lugs, and flat angled bezel, are polished. 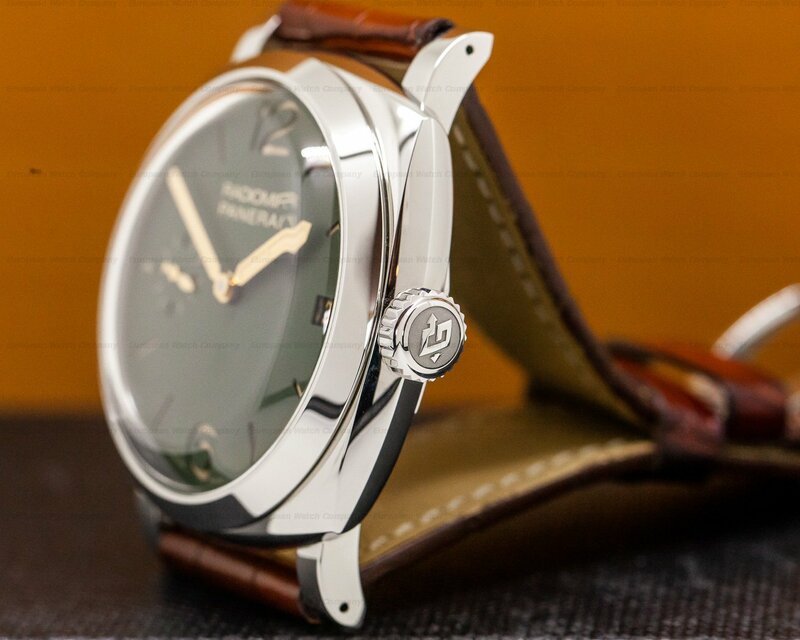 It has an olive green "sandwich" dial with vintage toned baton hour indices and Arabic numerals at the half hours. 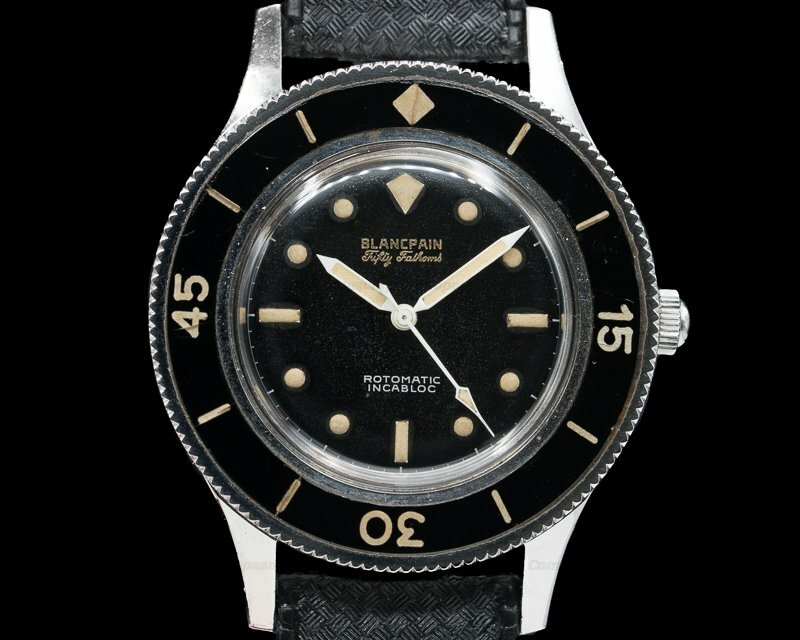 It includes pointed steel baton hands with luminous inserts, and there is a date aperture window at the 3 o'clock position. 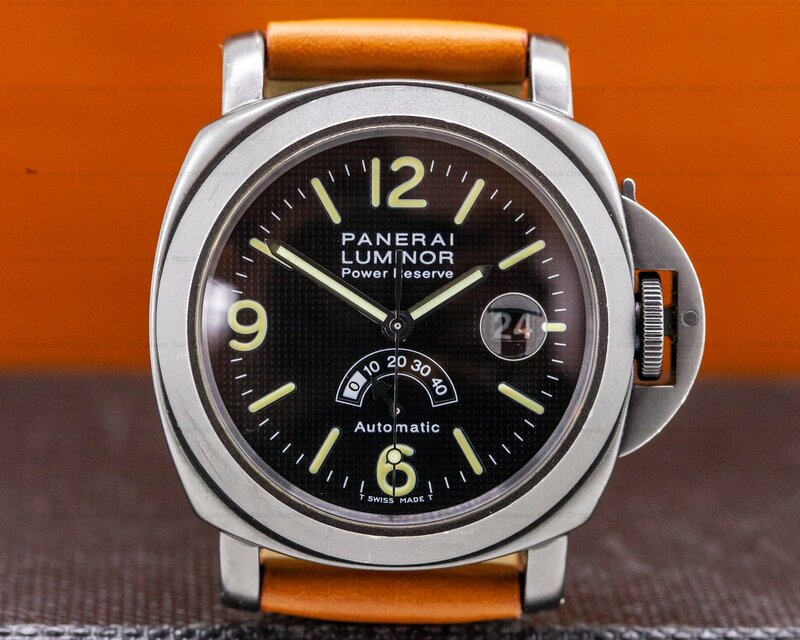 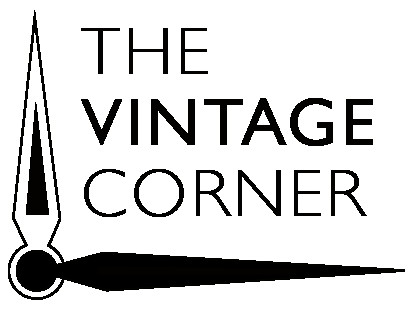 It has a subsidiary running small seconds register with luminous markers and a "propeller" shaped luminous indicator hand at 9 o'clock. 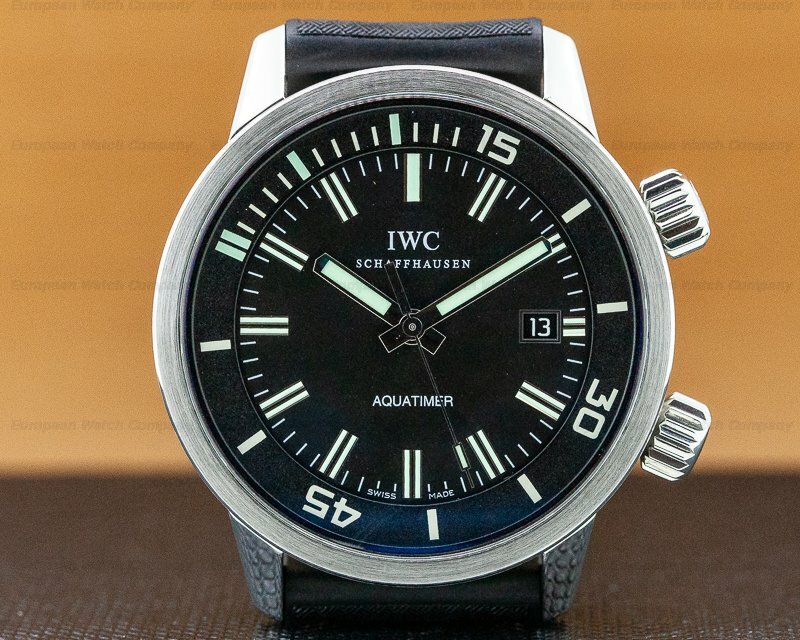 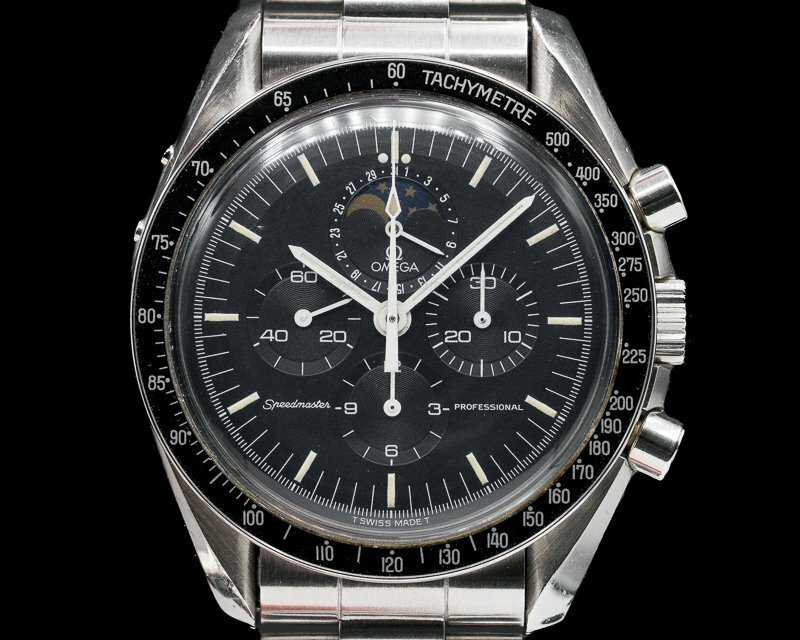 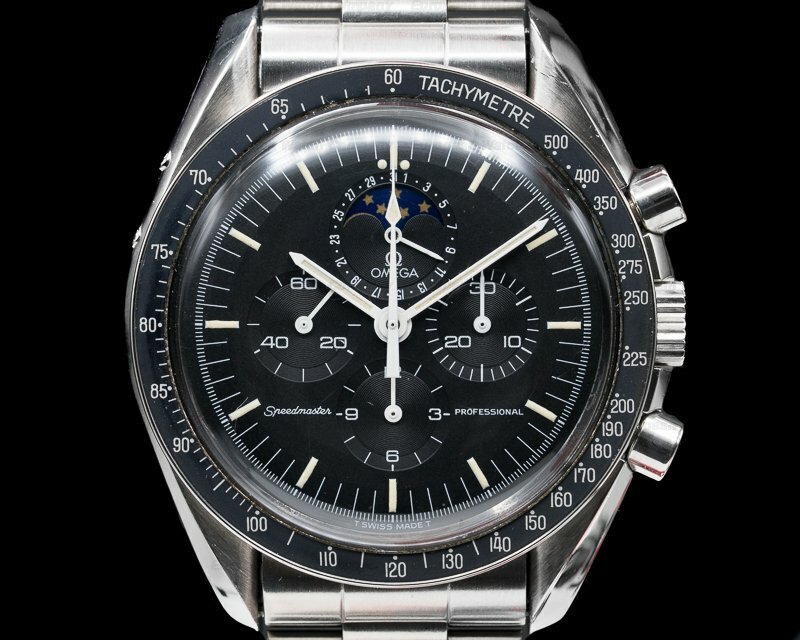 It's water resistant to 100 meters/330 feet, and it has a 3-day, 72-hour power reserve at full winding. 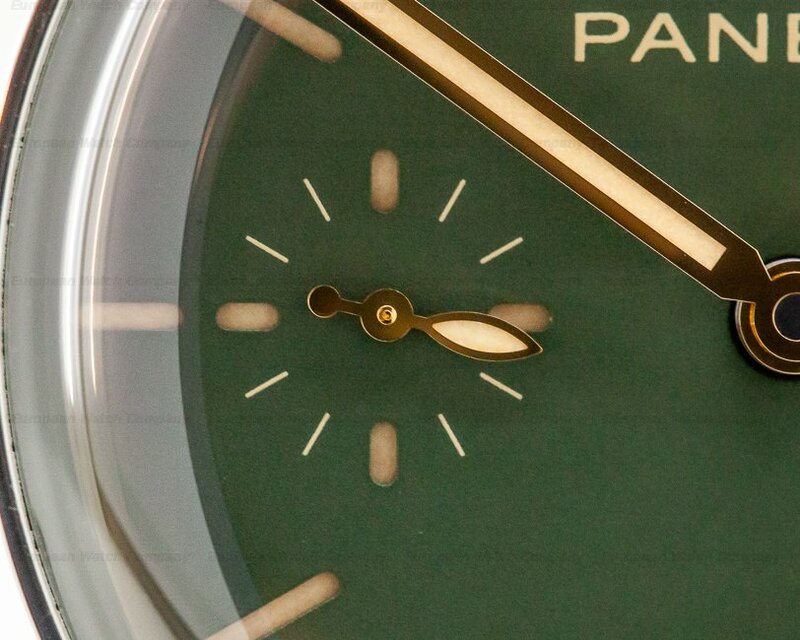 The 16.5mm thick case, dial, and movement are all signed. 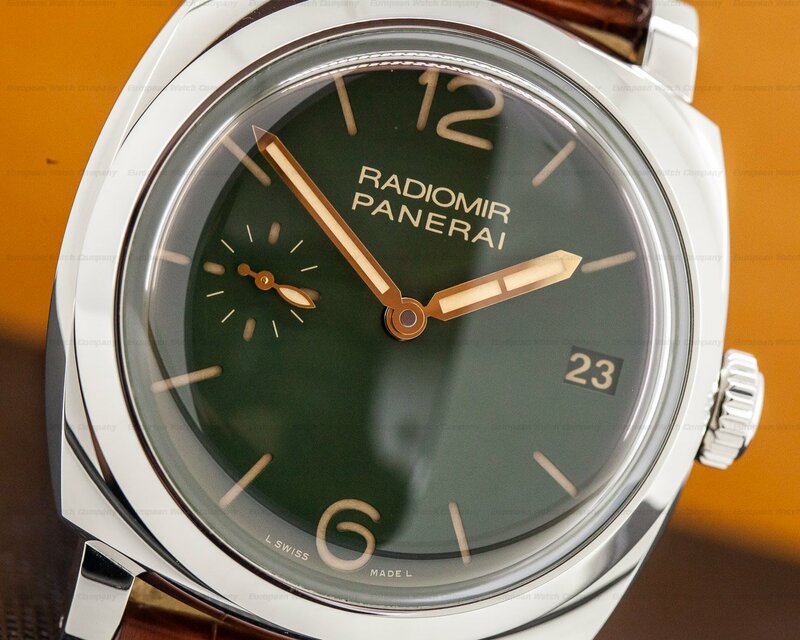 This Panerai Radiomir 1940 3 Days Acciaio PAM00736 has a mechanical manual winding Panerai caliber P.3000 movement. 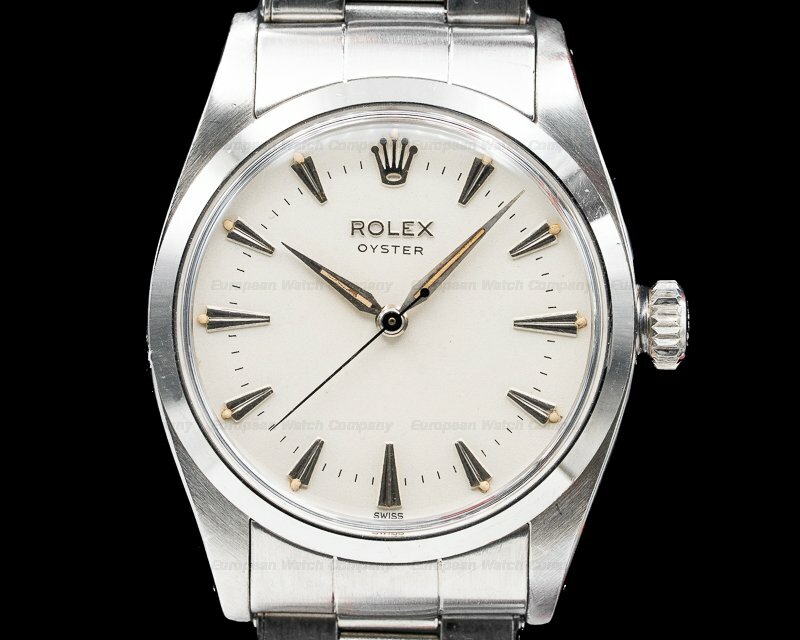 It's rhodium plated and constructed with 21 jewels, 162 components, and an Incabloc anti-shock device. 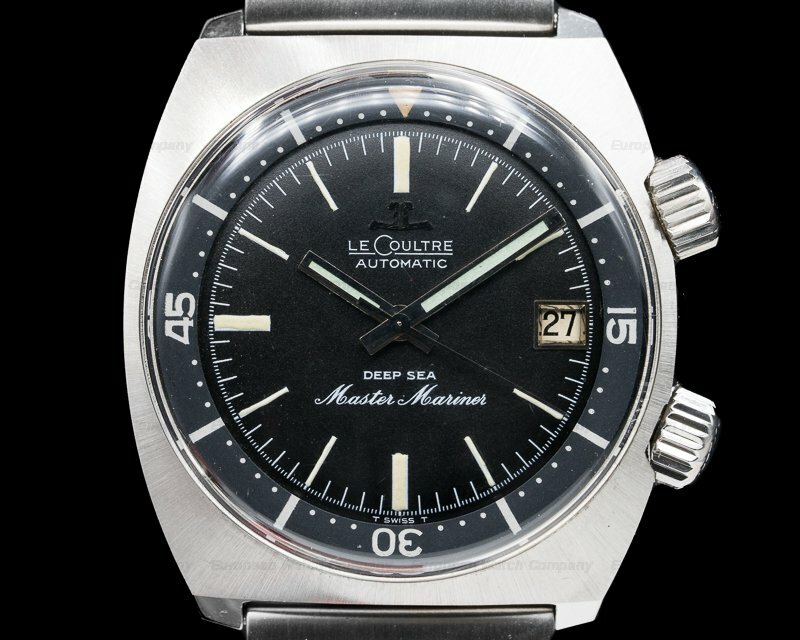 It includes a monometallic Glucydur balance, twin barrels mounted in series, and the mechanism oscillates at a frequency of 21,600 vph (3 Hz).